~Mrs. 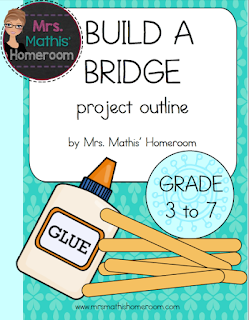 Mathis' Homeroom~: Craft Stick Bridges! 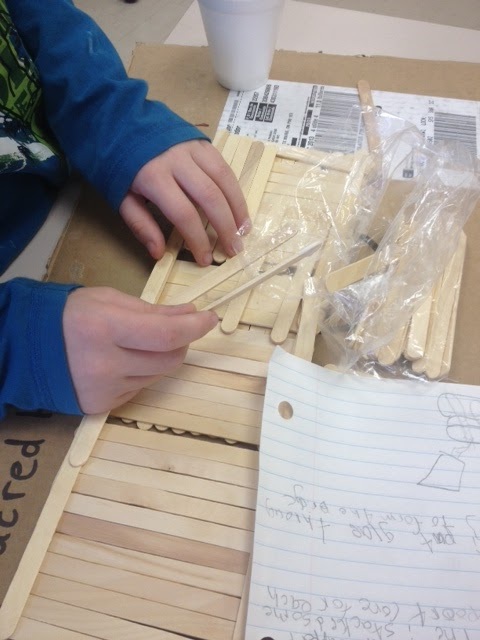 I wanted to do a fun science project with my little group to touch on the Structures and Mechanisms strand while I was in their class and what better way to do that than build bridges out of craft sticks?! 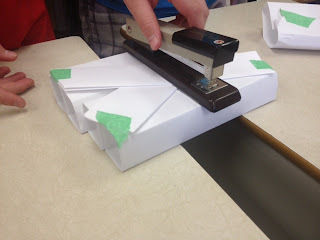 We watched this awesome Bill Nye the Science Guy video (previous post) and talked a bit about tension and compression and we looked up the four main types of bridges. What kind of bridge will hold the most weight? 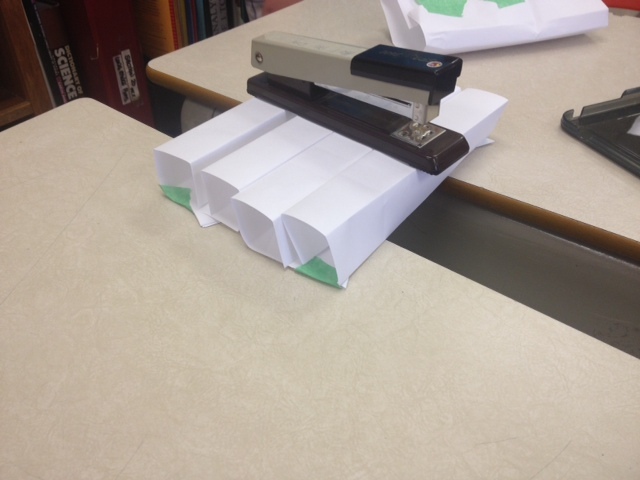 To prove that even paper could hold a certain amount of weight if it was folded right, I first challenged them to build a bridge with 5 pieces of paper (and a small piece of tape), that could hold up a stapler. They embraced the challenge and loved building their first "bridge". I gave them the following guidelines and let them build their bridges over about a week. Students were to use only white glue and 150 craft sticks. That's it. At first, they thought it couldn't be done, but then I showed them several videos on YouTube of students younger than them doing it with even less sticks. They were impressed and they were excited to get started! 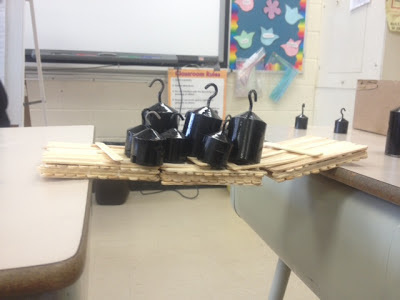 Once the bridges had dried for a minimum of 24 hours, we tested them by placing them on two desks with a span space of 25 cm. 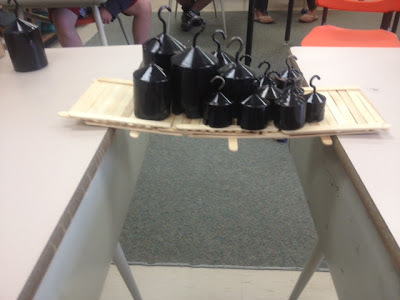 We carefully added weights to the bridges and kept track using a chart on the blackboard. The weight was distributed evenly over the bridges until they cracked or broke. One bridge just would not even flex, let alone crack or break! 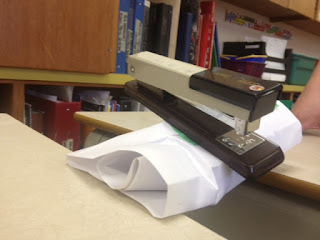 Instead of spreading the weight evenly on the bridge, we tried to hang it off a center point. Again, we couldn't get it to break. We ran out of small weights and had to improvise by adding dictionaries. At about 54lbs, we stopped because of safety concerns. Click here for a FREEBIE Craft Stick Project Outline and Rubric! 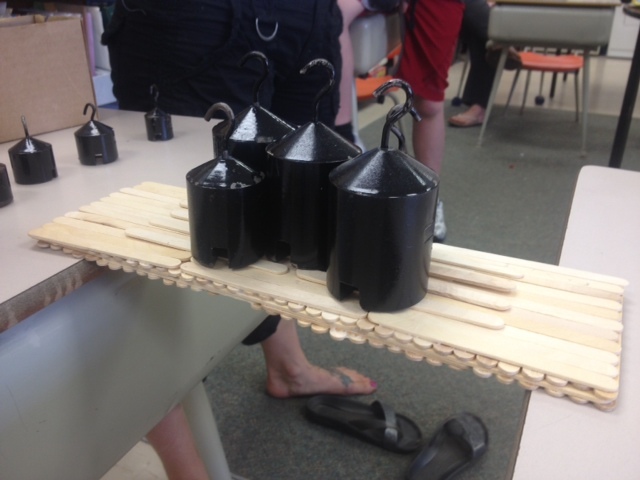 Im in 6th grade and doing a project except I created the same Idea as you ! !